Apec Diamond Park Lang Son received investment from Asia Pacific Joint Stock Company. The project is located on the side of Expressway 1A. 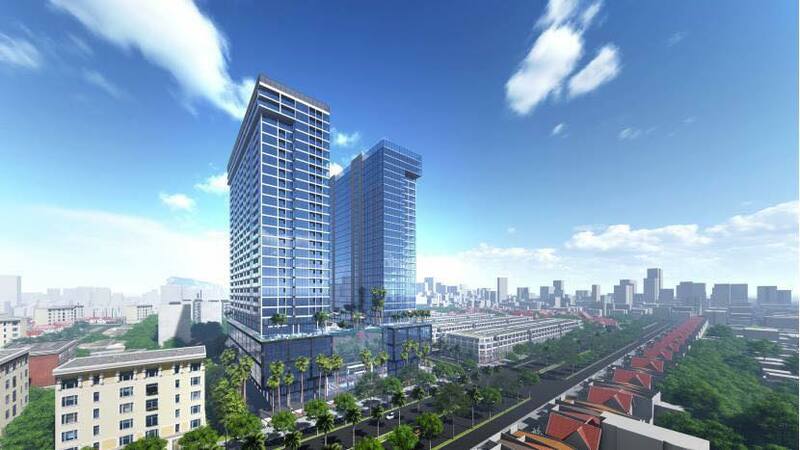 Shop-house Apec Diamond Park Lang Son will be official launched in the coming time. Location: Phai Duoc Hamlet, Mai Pha Commune, Lang Son city. - 24-storey hotel tower, construction area of each floor is 2,040m2. - Apartment Tower has 24 floors, construction area of each floor is 2,040m2. 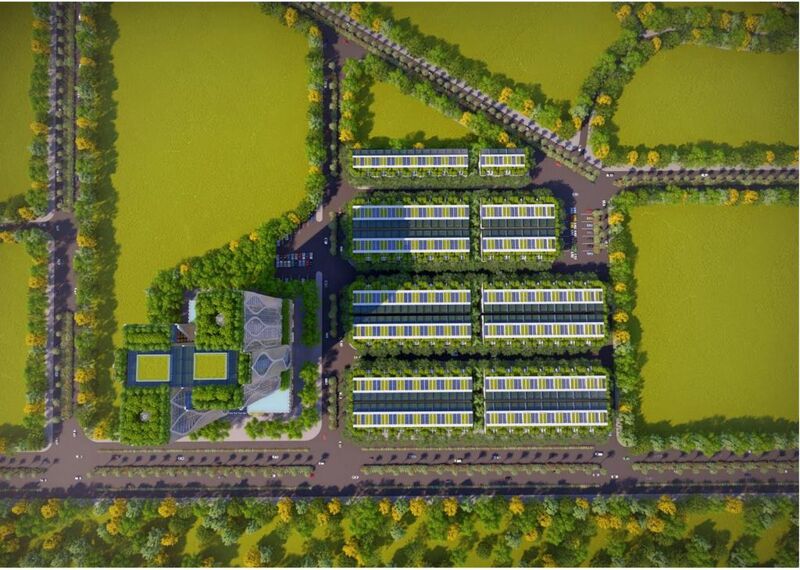 Apec Diamond Park Lang Son is located in a prestigious location – a strong business development area of Lang Son. Located on Highway 1A, international railway between Vietnam and China, Highway 1B to Thai Nguyen, Highway 4B to Quang Ninh, Highway 4A to Cao Bang. Especially, Dong Dang (Lang Son)– Tra Linh (Cao Bang) Expressway Investment Project is designed with the same scale as North – South Expressway Projects, including: 4 lanes for motor vehicles, 17m wide road, 80km/h motivating cross-border trade development between two provinces. 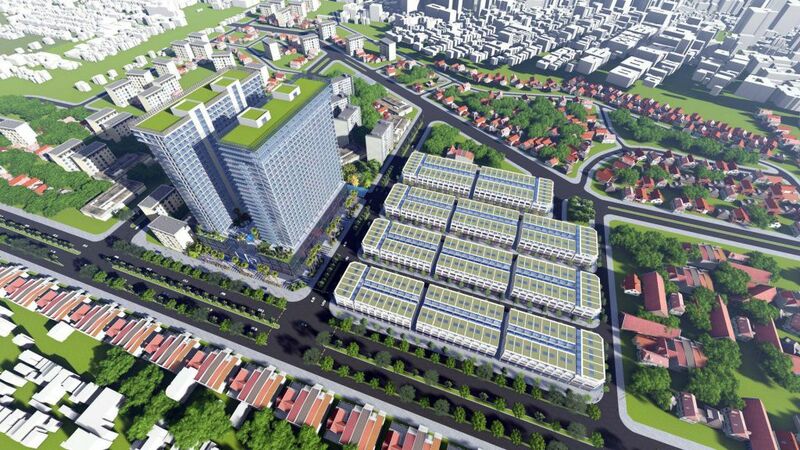 Real estate investors claimed that after launching, Shop house Apec Diamond Park Lang Son will be the most hectic commercial center of Lang Son city in particular and Lang Son province in general. The commercial townhouse of Apec Diamond Park Lang Son has a façade of 5-8m wide, adjacent to 2 main roads: Hung Vuong and Nguyen Van Huyen. The apartments are appropriately planned, exquisitely designed convenient for opening business in the first and second floor but also guarantee private space at level 3 and 4. The most high-light feature is the clean ecological environment from intermingled green spaces – an international standard utility system along with maximum security. From Apec Diamond Park Lang Son, the future owners can approach a wide range of essential utilities in the city such as schools, commercial centers, hospitals, resorts…. Currently, Apec Diamond Park Lang Son is in the process of building piles, completing infrastructure and will be launched soon in the incoming future. With a modern style, the details of shop houses at Apec diamond Park Lang Son are designed meticulously, subtle but no less luxurious. Notably, the construction density of the project in only 20-25% so most of the area is a green living space – providing fresh atmosphere for residents. Townhouses at Apec Diamond Park Lang Son is designed with 226 shop-houses with modern and classy design, creating a balanced life when combining modern buildings and green, airy and environmental friendly spaces, harmonizing between population density and landscape to ensure a quality life for customers, meeting modern and high-class living standard. 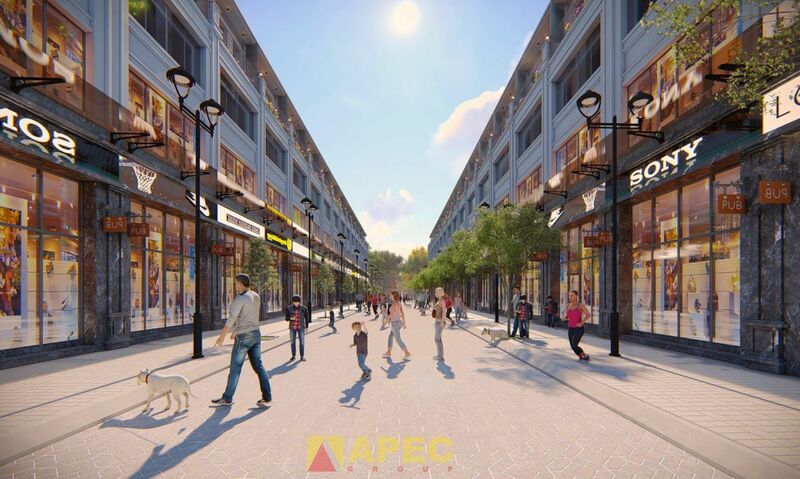 All commercial houses at Apec Diamond Park Lang Son have a wide and airy façade and are located on newly opened streets with two lanes. This is a crowded traffic flow that promises to bring to endless opportunities to widen out business. Shop houses at Apec Diamond Park Lang Son are designed in modern architecture with 4-storey height to maximum the use for all spaces to help owners experience the privacy and convenience of family activities in upper floors, but still suitable for business or investment in renting premises at the first floor. Apec Diamond Park Lang Son townhouse project is designed with 72 shop-houses with modern and classy design, creating a balanced life when combining modern buildings and green, airy and environment-friendly spaces, harmonizing population density and environmental landscape to ensure a quality life for customers, meeting modern and classy living standards. With a modern architecture inclusive of meticulous, precise and elegant details and the mere construction density of 20 – 25% forming a green living spaces, shop houses Apec Diamond Park are a promising place to be a foundation of balanced life. The system of green spaces and flower gardens are arranged throughout the project area, ensuring ecological and environmental factors. Apec Group is the trademark committed to prestige, quality, work progress and profit when investing in projects that the Group has been implementing.